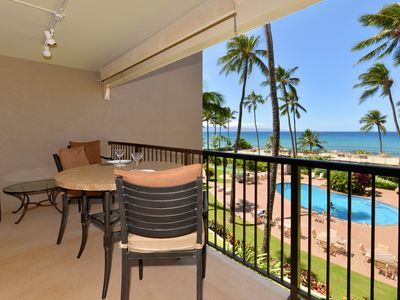 You will love this luxury ground floor ocean view condo facing world famous Black Rock at The Whaler on Kaanapali Beach. 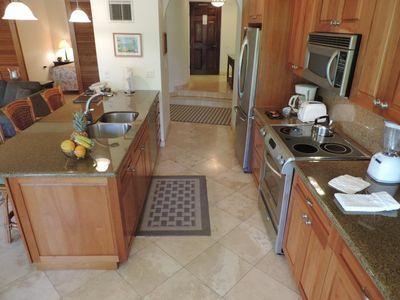 It will become your 'home away from home when you come to Maui. You will want to return again and again. We promise. This luxury condominium (Unit 112) is fully upgraded with two big-screen TVs (60'" Samsung LCD in the living room and 40' Samsung LCD in the bedroom), new carpet, granite kitchen countertops, appliances, air-conditioning plus "Tommy Bahama" style ceiling fans in the living room and bedroom, and the most comfortable pillow-top bed in the world. If you love to float in the clouds and sleep like an angel, it doesn't get any better. Additional queen sofa sleeper and two rollaways available for additional guests upon advance request. 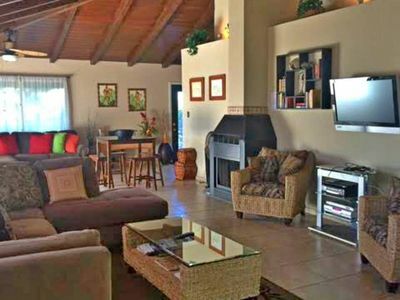 In this luxury condo you have many amenities not found in all condos in this resort including FREE WIRELESS INTERNET, beach chairs on first come basis, pool towels, parking. 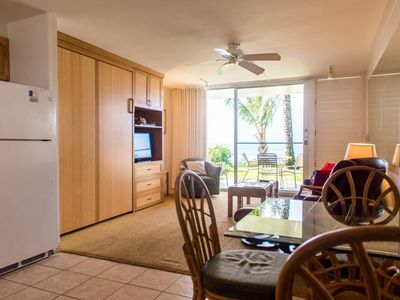 The front desk charges a daily resort fee per condo of $25 (subject to periodic increases), which they collect upon check-in. 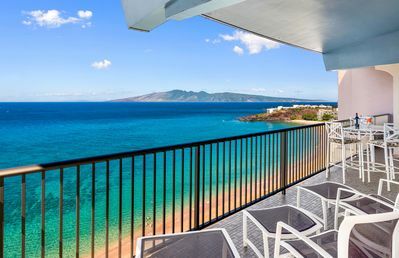 You are just steps to the best white-sand beach on Maui with swimming, snorkeling, parasailing, jet-skiing, surfing, and many other ocean activities at your fingertips. 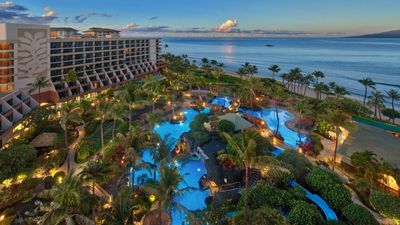 Up and down the beachwalk you will find dining, shopping, beachfront bars and five-star hotels. 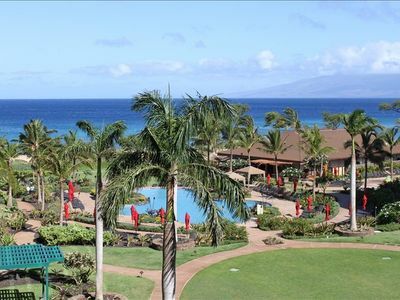 There is no better spot on Maui for a memorable family vacation or a romantic get-away for two. 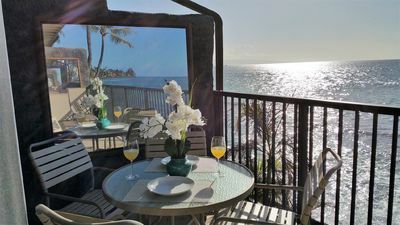 Make yourself a a Mai-Tai, throw something on the barbecue then retreat to your private lanai complete with ocean views, seating for ten and dining for eight to watch the spectular Maui sunsets. It's a great place to kick back, take it easy and "sleep 'til you're done". 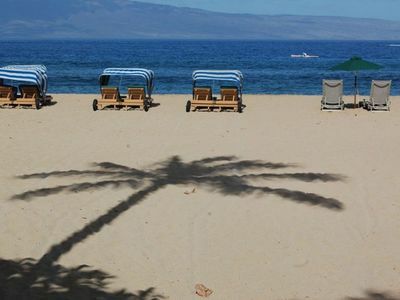 Then get up, take a leisurely walk down the best beach on Maui, have your morning coffee and plan another day in paradise. 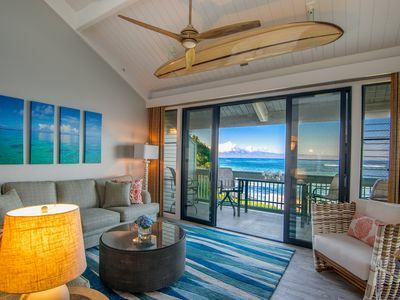 You can spend your afternoons lounging on the white sandy beach, by the pool or on your own private ocean view lanai, hitting the bars or restaurants for a bite and great Hawaiian entertainment, enjoying beach activities or simply taking a well-deserved nap. In the evening, it is just a short walk to fine restaurants, shopping or night-life. Or just take a moonlight stroll on the water's edge. 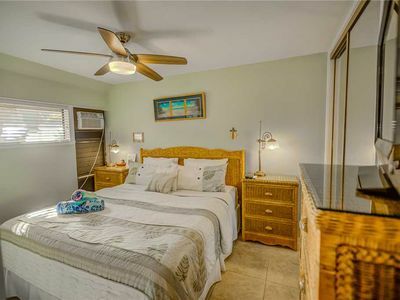 This is a one time charge of $100 for guests more than 4 for the rollaway bed and extra towels that is payable directly to the owner separate from the amount paid to VRBO for the booking. Remember, each condo is individually owned and some are just the bare-bones minimum. 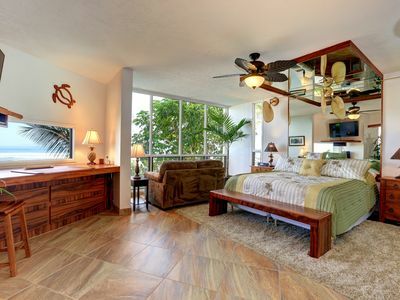 You won't regret your choice to stay in this luxurious condo. You'll be back. We guarantee it! Call us and we'll make it happen for you. 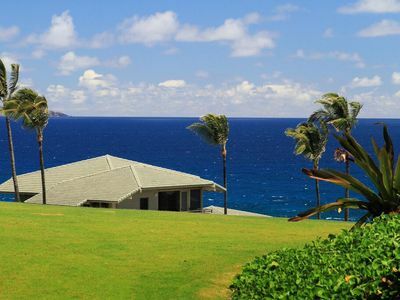 The Rental Agreement must be completed and returned within 72 hours of booking. As you know, the weather in the tropics is usually good but is variable. We cannot refund your payment if the weather is inclement. There is a 24 hour front desk where you may check in and receive your room keys. Our on-island contact person is Karen Kondo. Her phone number is 808=276-3661 if you have an emergency. Beautiful ground floor studio condo! Last Minute Special! Valid 04/30-05/04! THE WHALER RESORT #1251! OCEANFRONT! LAST MINUTE APRIL OPENING! 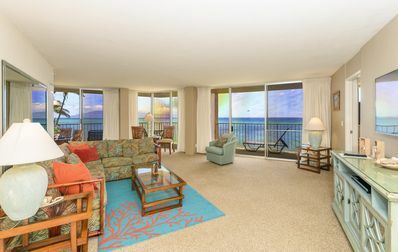 AMAZING OCEANFRONT VIEWS, WELL EQUIPPED CONDO! 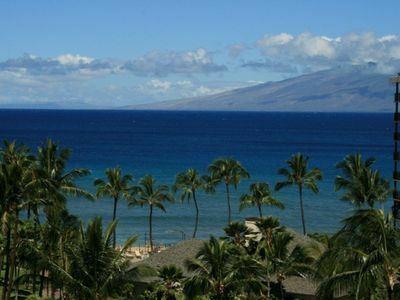 COME TO MAUI FOR THE BEST WEATHER ON THE PLANET!! 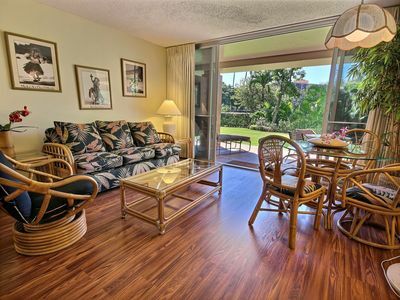 Wonderful Ocean views - Direct Oceanfront Napili Shores I - 170 - studio! Beautiful!! 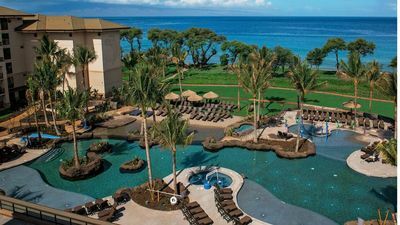 Westin Nanea Villas, Ka'anapali, 2 Bedroom 2 Bath, Paradise! FRONT AND CENTER!!! 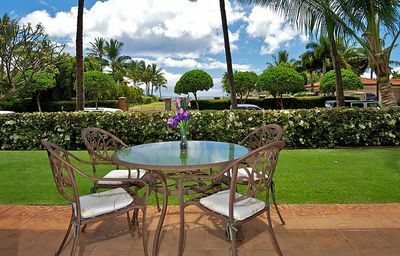 OCEANFRONT WEST MAUI LOCATION. 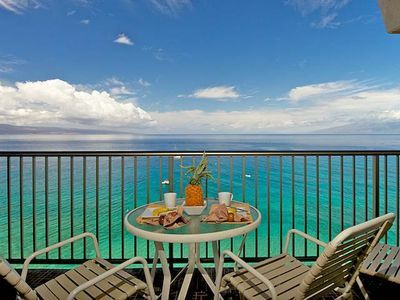 Whaler 1201 – The Crown Jewel – Luxuriously Remodeled 12th Floor Oceanfront Royal Penthouse! 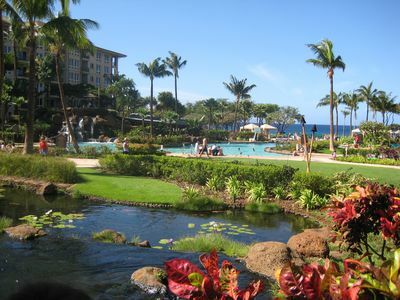 Marriott Maui Ocean Club - 5 Star - Best Price!! 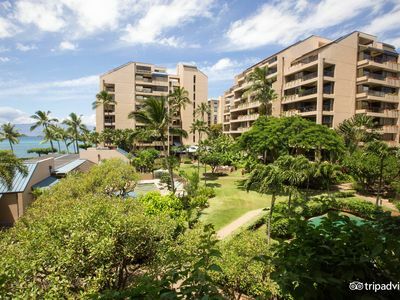 Huge 2 Bedroom Unit! Oceanview!